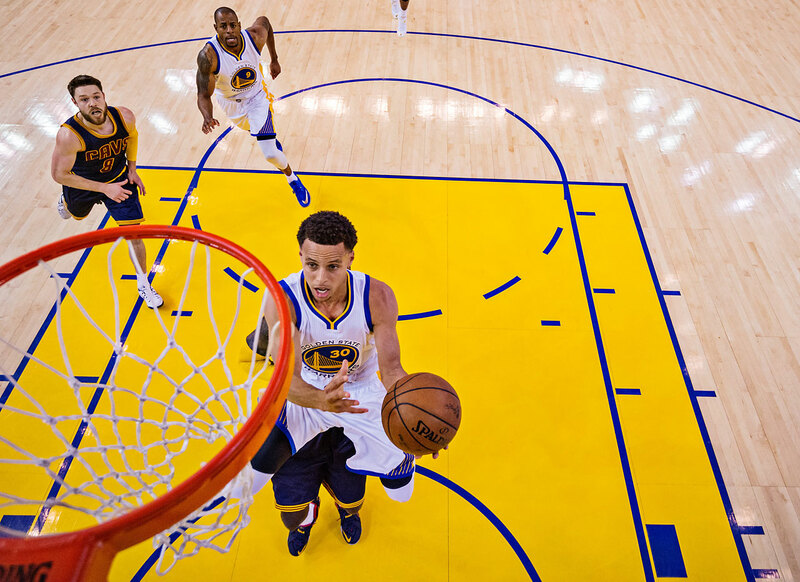 OAKLAND, Calif.—Not far from a court freckled with yellow confetti, down a tunnel lined with familiar and unfamiliar faces—​former teammate Jermaine O’Neal; motivational guru Tony Robbins—​wobbled Steph Curry. He managed to smile, hug a friend and dispense a high-five. Wearing a gray suit and herded by Warriors PR man Raymond Ridder, Curry moved ever forward, past the family room where his brother, Seth, waited. Past the Cavs locker room, where the soon-to-be-self-proclaimed Best Player in the World holed up, wondering what else he could have possibly done. A few minutes later, Steph would rub his head, then disappear to lie down, the physical toll of playing 42+ minutes, scoring 37 points and hitting shots that should come with disclaimers—“Professional on a Closed Course, Do Not Attempt.” The official word from the Warriors was dehydration. They say he’ll be on the team flight today; good to play in Game 6. Opportunity, and history, await. Plenty of great players must first fail before winning it all. And plenty of great players never win a title. 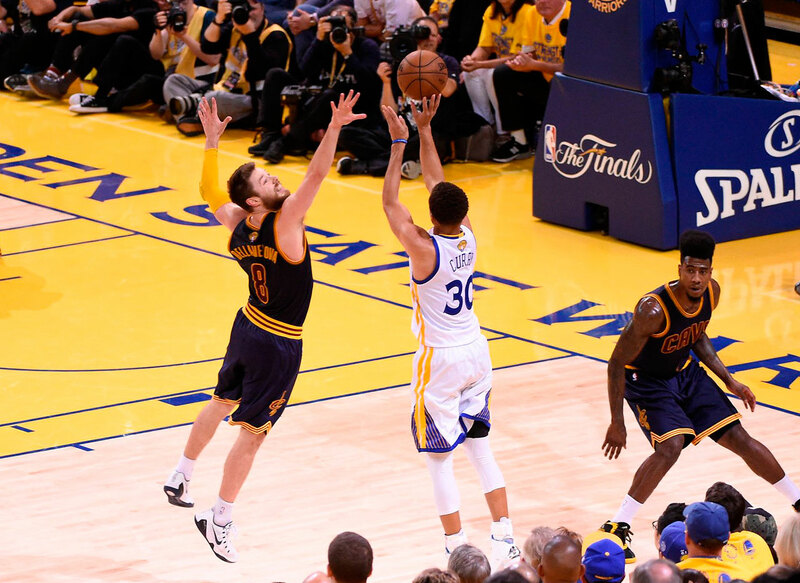 But Curry is now in position to lead Golden State to a championship in his first Finals appearance and do so in a manner never before accomplished: By taking, and making, crazy three-pointers. After the game, Steve Kerr said it was merely “the law of averages” that Curry was going to start hitting his shots, but that’s a Curry-specific set of averages we’re talking about. 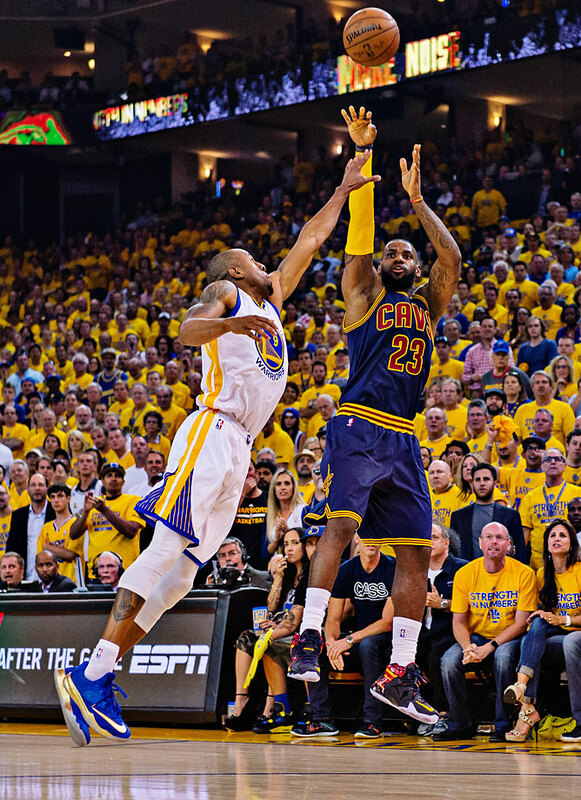 Even so, he was matched throughout by LeBron James, who was masterful (and deserves to win Finals MVP even if the Cavs lose, at least as of now). 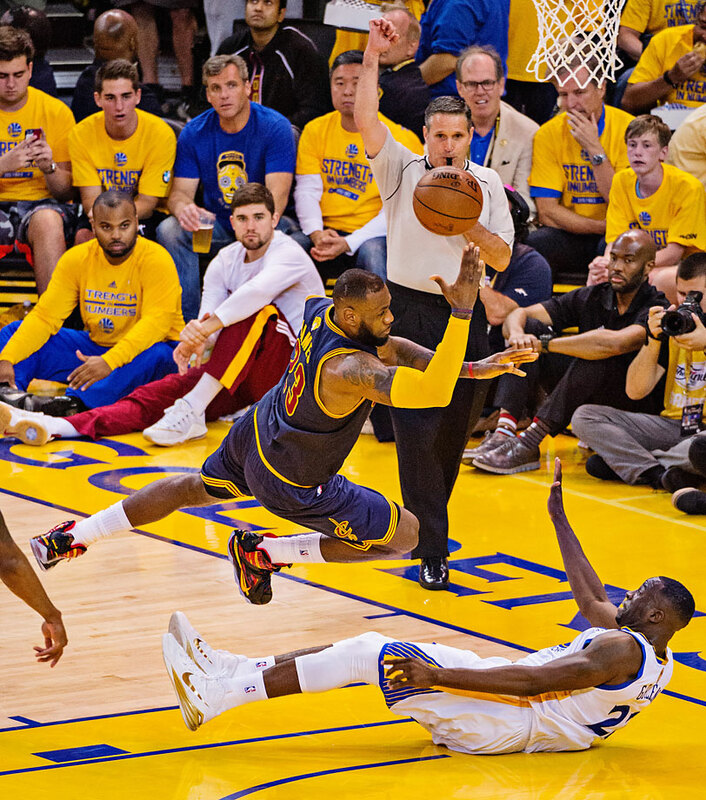 But LeBron’s genius is best appreciated in sum: the sheer number of rebounds, and the small pass that leads to the big play, and the bludgeoning post-ups and shoulder-first drives. Curry’s can be seen in every off-balance, No-then-Yes!! Jumpshot. 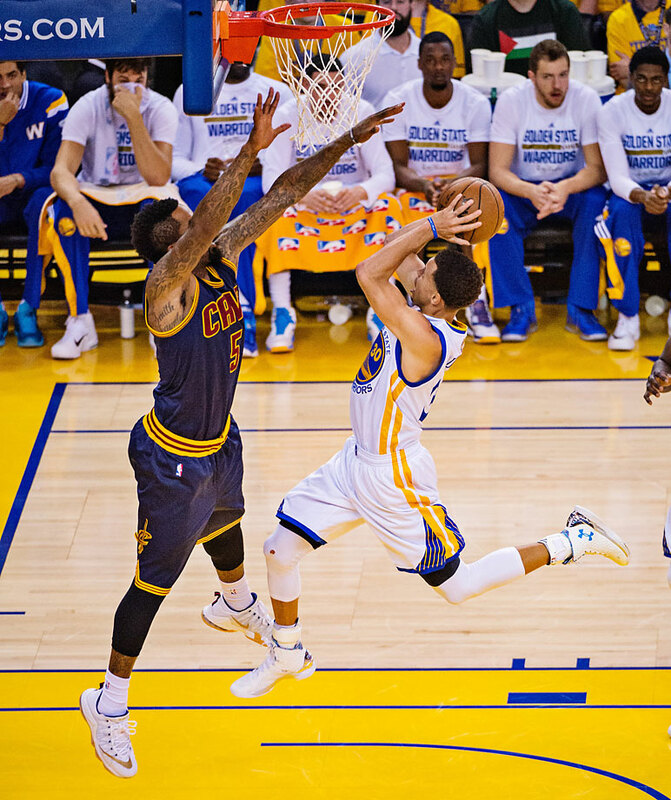 To watch one magical Curry move is to understand his allure. 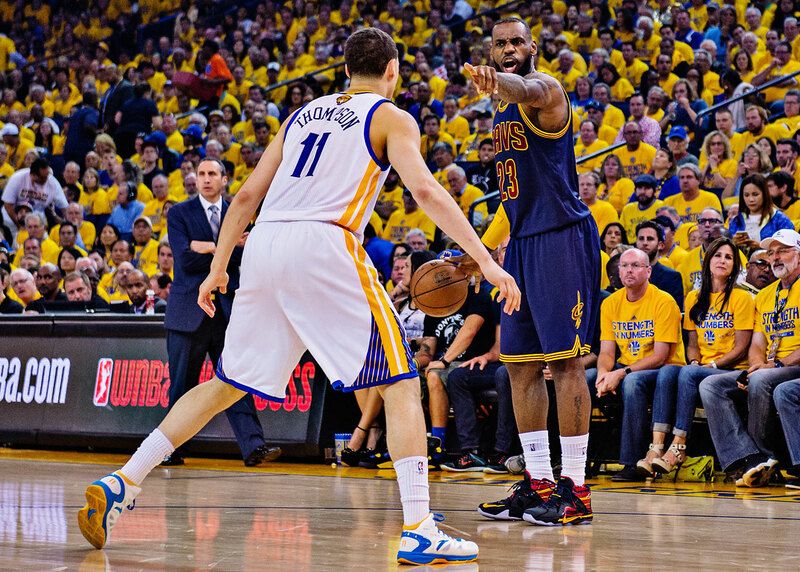 • The small-ball, who-blinks-first showdown was fascinating to watch. When the Warriors double-teamed Timofey Mozgov in the post to begin the game—and did so effectively—​Blatt took out his big man and left him on the bench for much of the remainder of the game. For stretches, we saw James as the five man. In the end, Mike Miller played more minutes (13) than Mozgov (9). 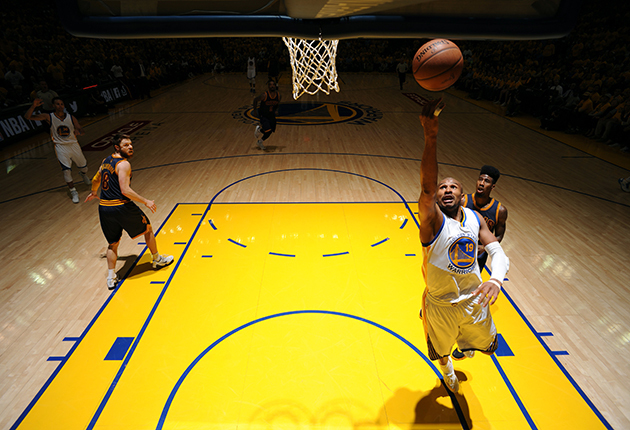 Meanwhile, for the Warriors, Barbosa played more minutes than Bogut, Ezeli and Harrison Barnes combined in the first half. Somewhere in Maui, Don Nelson was no doubt enjoying the hell out of it. The Miller experiment worked for the most part; he gave the Cavs a floor spacer and, more important, another decision-maker, something the team is short on. Once he hit his first three-pointer, he became unleave-able. This is a guy who, lest we forget, sank 7 of 8 three-pointers in a Finals game only three years ago. In his first 11 minutes he was +11, and he finished +6 for the game. Still, playing anyone at the expense of Mozgov feels like a losing proposition for Blatt. The Warriors are deep enough that they can afford to sit Bogut and still bring in waves of talented reserves. Mozgov? He’s arguably Cleveland’s second-best player with this roster. 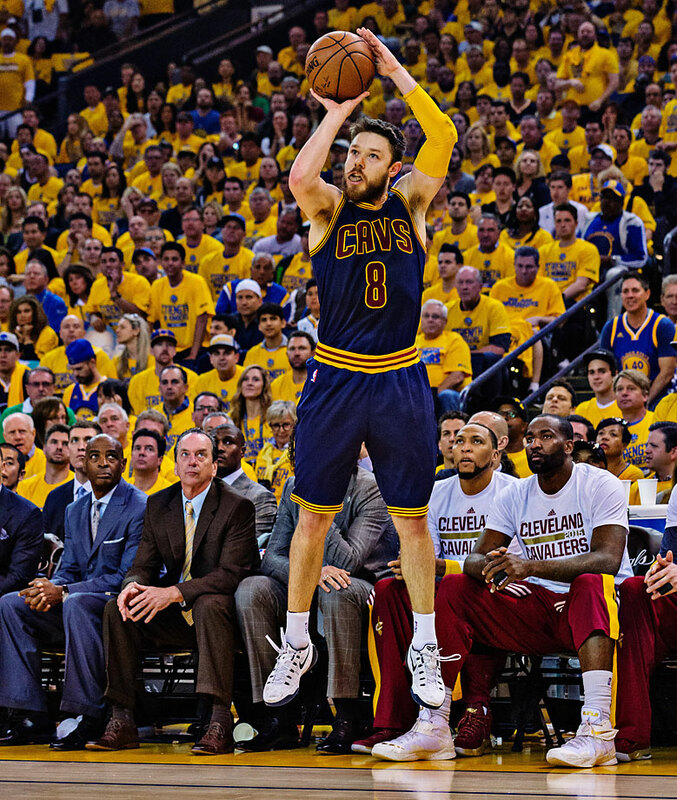 He needs to be on the court more than nine minutes if the Cavs are to win Game 6. • The weirdness of the game extended in many directions. The usual markers of a Warriors lead include Green scoring and Curry getting hot, and yet both occurred in the first half and the Warriors were still down (on account of LeBron being LeBron and J.R. Smith, for a short time at least, being Steph Curry). 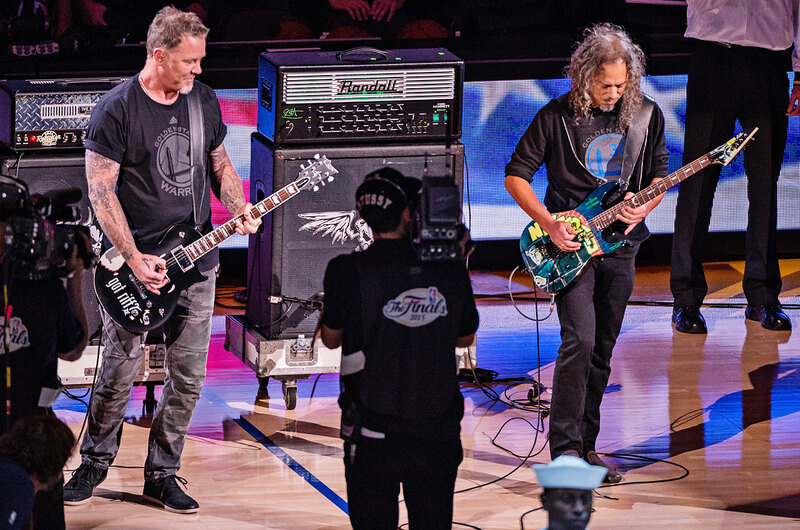 Other strange sights: Shumpert hitting the side of the backboard on a three; the reality of J.R. Smith and James Jones as rim protectors; the Warriors putting team legend Chris Mullin on the bigscreen and then identifying him as “Jeff Mullins” (because it’s so easy to confuse the flat-topped Mully with a 73-year-old Warriors guard from the seventies). Though, according to Basketball Reference, Mullins did have a pretty sweet nickname: Pork Chop. • One of the bigger surprises was the play of Barbosa. He scored 13 points in 17 minutes and was the only Golden State bench player to finish with a positive plus/minus (+1). This after Barbosa barely played last game, bypassed in the rotation in favor of more Shaun Livingston. 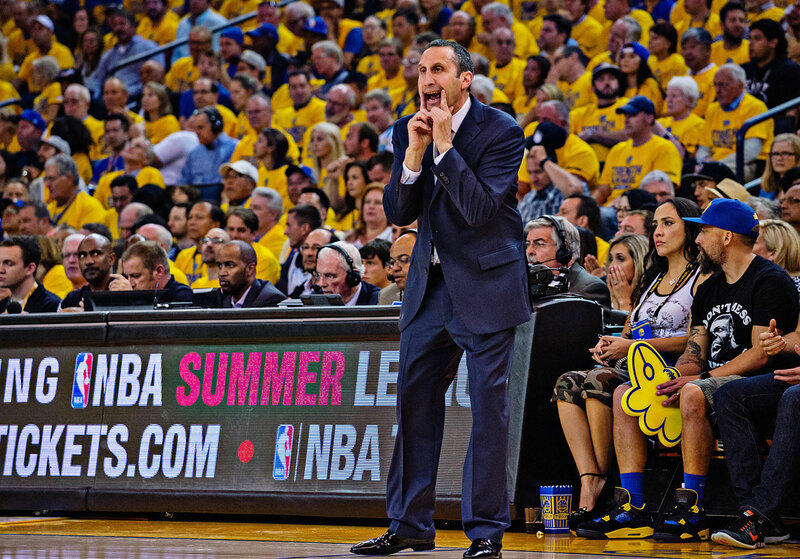 There are those in the Warriors organization who cringe whenever he enters the game. Barbosa is a minus defender, not much of a passer and has a tendency to fall down after layup attempts—perhaps the Brazilian in him, some surmise, looking for the whistle like a soccer player. This in turn hurts the team’s transition defense. And yet he is also a real scoring threat, one of the few Warriors bench players who can give you 10 points in a matter of minutes. Kerr has been loyal to him all season long, for better or worse. Last night was definitely for better. Barbosa pushed the pace. He hurtled toward the basket. 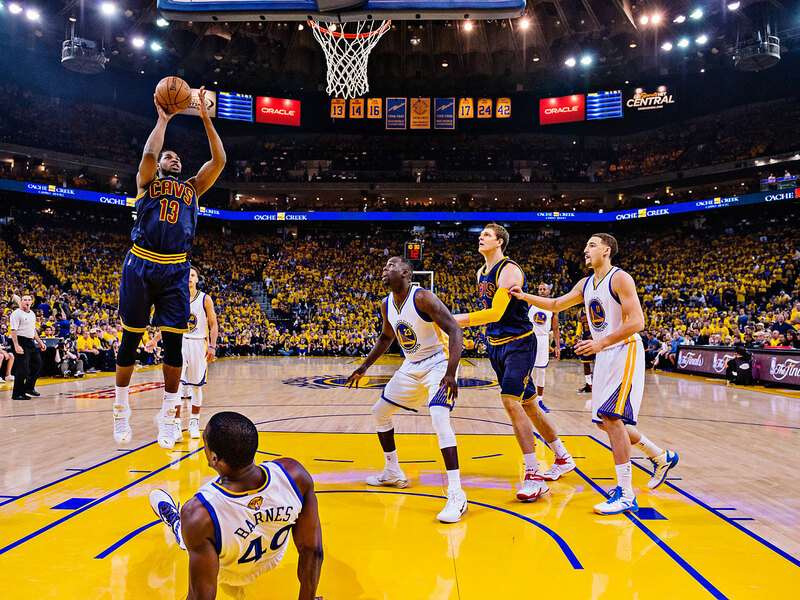 For short stints, the Warriors totally gave up on a defense-first mentality. During one stretch, their lineup was without their three best defenders (Green, Iguodala and Bogut) and included both Lee and Barbosa. As with everything Kerr does, there was a reason: The combination of David Lee and Barbosa had shown promise in stints together against Memphis, another plodding team, so the Warriors brain trust thought it was worth another shot. As one front office member said after the game, “Barbosa may be 1,000 years old for all we know, but he’s still the fastest guy on the court" (For the record, Barbosa is the oldest Warrior, at 32). 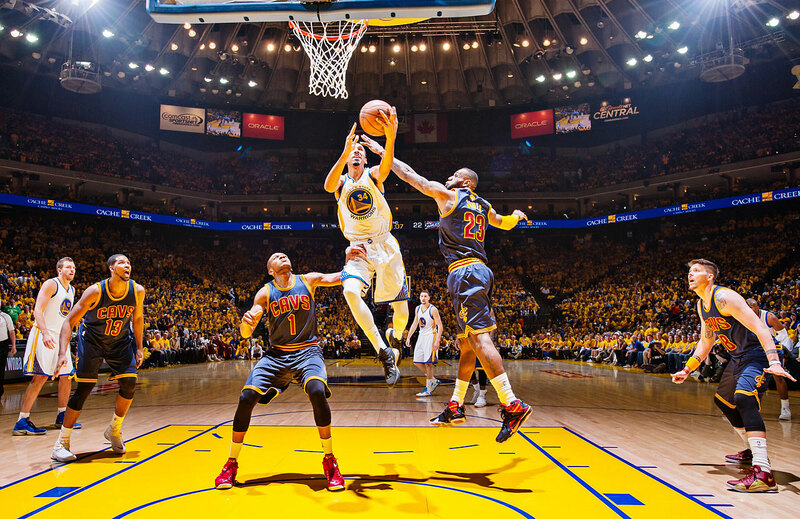 • I love that even teammates still get fired up watching a Curry flurry (as my colleague Lee Jenkins termed his hot streaks). 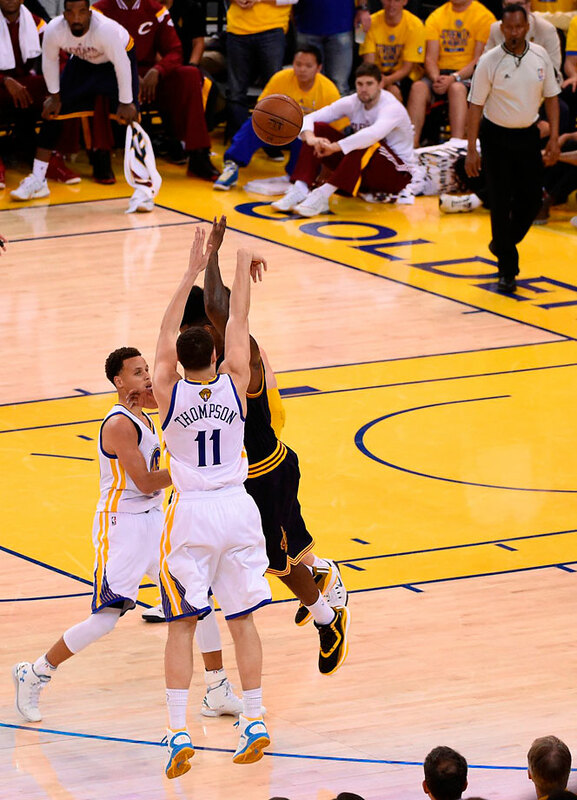 The best moment in that regard: When Steph sank yet another tough three in the second half and the Warriors bench went so bonkers that Livingston was still out on the court, a towel around his neck, performing an elaborate fist-pump move near the baseline when the Cavs came sprinting back down court on offense. Someone—I think it was Barbosa—had to pull him off the court. • More small ball: Three years ago when Tim Duncan didn’t play in a regular season game, Gregg Popovich listed him in the official box score as “DNP-OLD”. Last night, an honest assessment of Andrew Bogut (0 minutes) might have read DNP-TOO BIG. To his credit, Bogut handled it well. 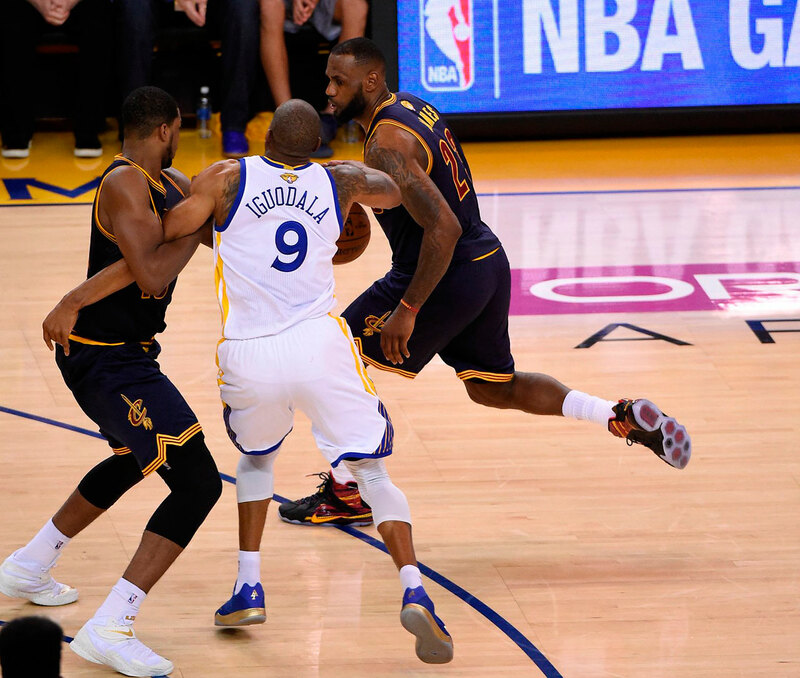 He was up off the bench cheering much of the game; held back Draymond Green when the forward looked ready to get T-ed up, or even ejected; and could be seen animatedly directing defensive rebounding position on a couple of fourth quarter free throws. Still, it’s bizarre to think that the man often considered the crucial piece of any Warriors title run—“please don’t let Bogut get hurt” has long been the playoff mantra of Bay Area fans—may sit the bench while it actually happens. • Unlike Steph, reserve Warriors guard Justin Holiday didn’t have his brother in attendance. Jrue is in Canada at the World Cup, cheering on his wife, Lauren, who plays for the U.S. women’s national team. That’s got to be surreal: your brother and your wife playing for a championship simultaneously. • There’s an ephemeral sense to these Warriors, a feeling that we must appreciate them while we can, for we’ll never see this whole squad again. Alvin Gentry is off to New Orleans. Chances are good that two or more players won’t be back next season, victims of cap considerations, free agency or trades. 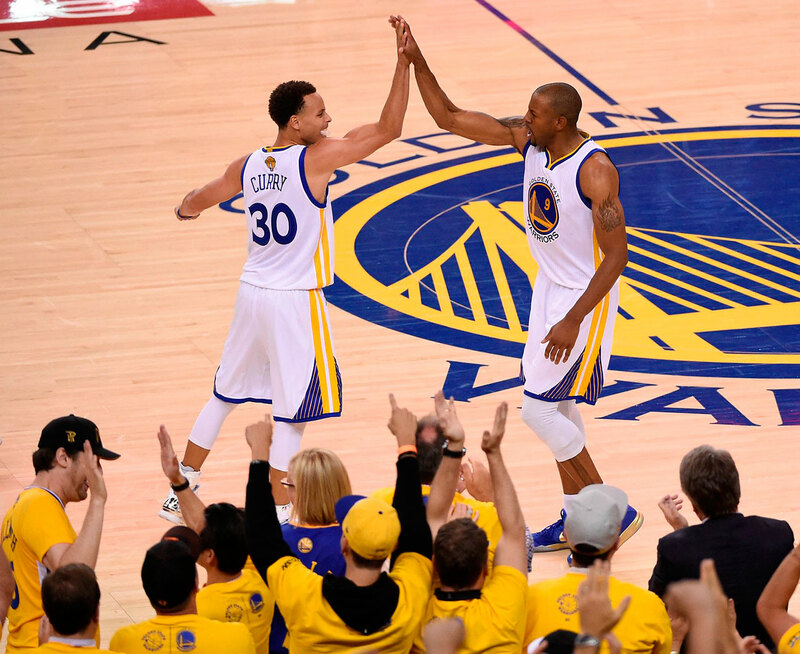 And the type of chemistry and unselfishness the Warriors possess is rare. For now, players like Green and Curry remain underdogs—players deemed too small, or too something—for at least one more game. Enjoy it. • Ran into owner Joe Lacob after the game. Like other Warriors staffers, he wasn’t celebratory; if anything he seemed a bit nervous, perhaps because Curry had just gone in for dehydration treatment. The fans were a different matter. They arrived early, hotboxing in the parking lot—it was entirely possible to get a contact high on the walk from one’s car to the arena entrance—and started the first “Let's Go Warriors” chant 15 minutes before tipoff. 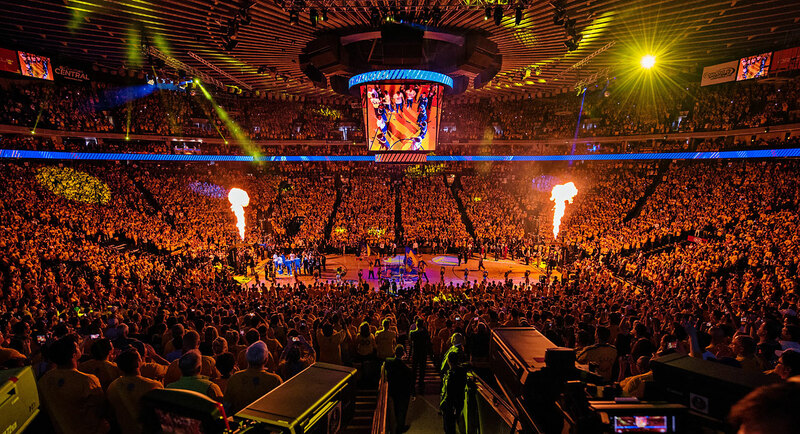 Overall, it wasn’t as loud as usual—perhaps because of higher ticket prices—but it did reach peak Roaracle during the late Warriors run.